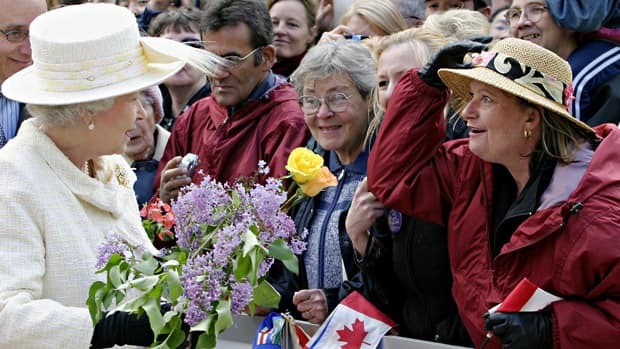 In the 60 years she has been on the throne, Queen Elizabeth II has visited Canada 22 times, usually accompanied by her husband Prince Philip  and sometimes by her children Prince Charles, Princess Anne, Prince Andrew and Prince Edward. Her visits have included every province and territory. 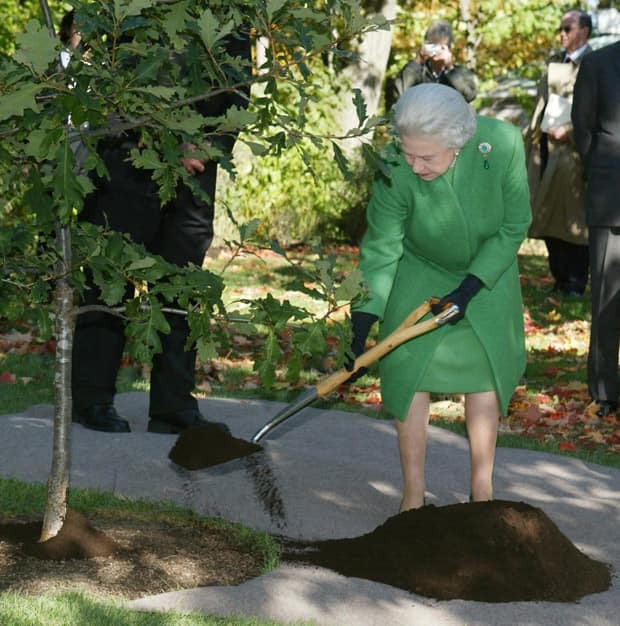 Here's a look at the Queen's Canadian tour. 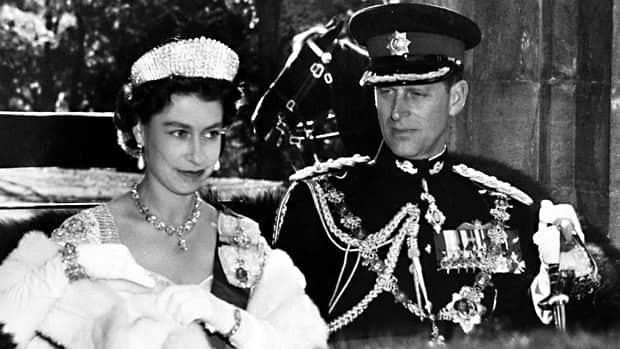 Oct. 12 to 16: On her first official visit to Canada as queen, Elizabeth II, accompanied by Prince Philip, spends four days in Ottawa. She officially opens the first session of the 23rd Parliament on Oct. 14. From the Governor General's residence in Ottawa, the queen addresses the children of "a wonderful and exhilarating country." June 18 to Aug. 1: Accompanied by Prince Philip, the Queen arrives in Canada for her first major tour as the ruling monarch. She officially opens the St. Lawrence Seaway and visits all provinces and territories in six weeks. 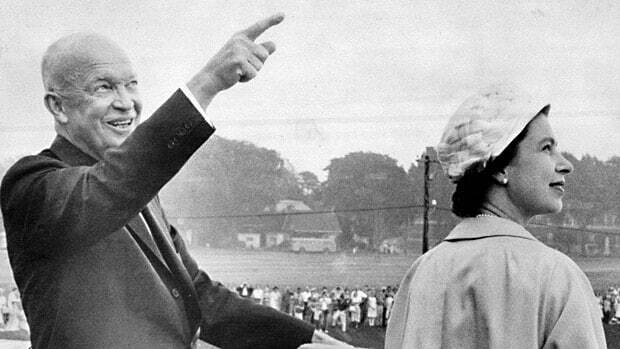 Oct. 5 to 13: On Oct. 5, 1964, Queen Elizabeth arrives for an eight-day visit to Charlottetown, Quebec and Ottawa, commemorating meetings that led to Confederation in 1867. 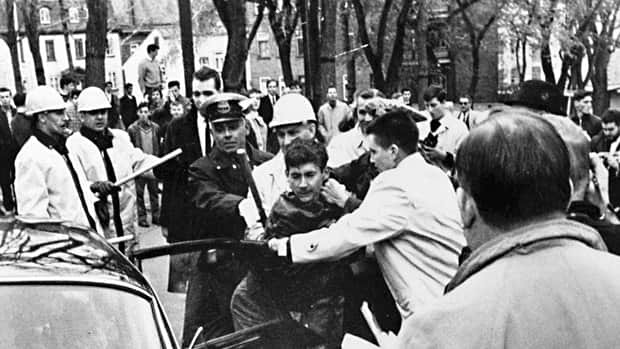 On Oct. 10, protesters in Quebec City turn their back on the Queen and police later charge the crowd. June 29 to July 5: The Queen, accompanied by Prince Philip, stops in Ottawa to attend ceremonies celebrating Canada's centennial anniversary. 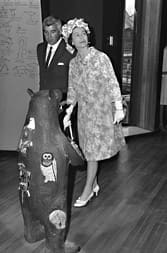 She also visits Expo 67 in Montreal. Her tour lasts six days. 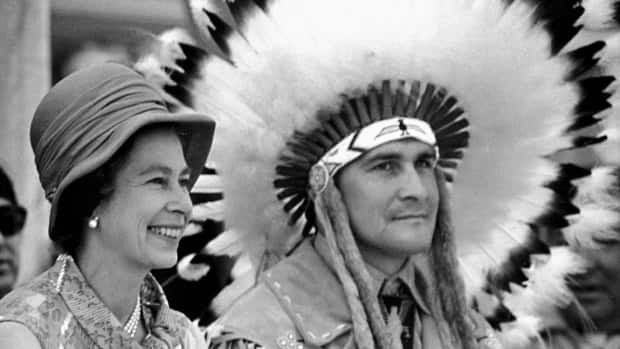 July 5 to 15: Accompanied by Prince Charles and Princess Anne, the Queen visits Manitoba for the 100th anniversary of its entry into Confederation. She also stops in the Northwest Territories to mark its centennial. 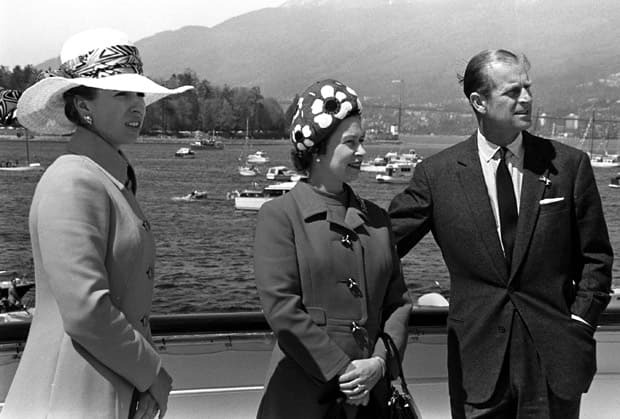 May 3 to May 12: Queen Elizabeth, Prince Philip and Princess Anne mark the centennial of British Columbia's entry into Confederation, stopping in several towns and cities, including Victoria, Vancouver, Tofino and Kelowna. 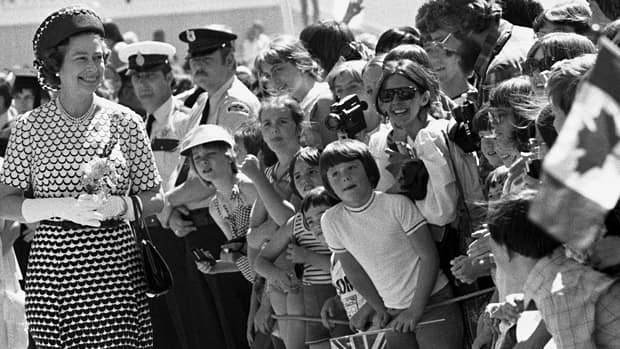 June 25 to July 5: The Queen, accompanied by Prince Philip, visits Ontario to celebrate the 300th anniversary of Kingston. They spend time in Prince Edward Island to mark the 100th anniversary of the province’s entry into Confederation. They also stop by Saskatchewan and Alberta to attend the RCMP centennial. 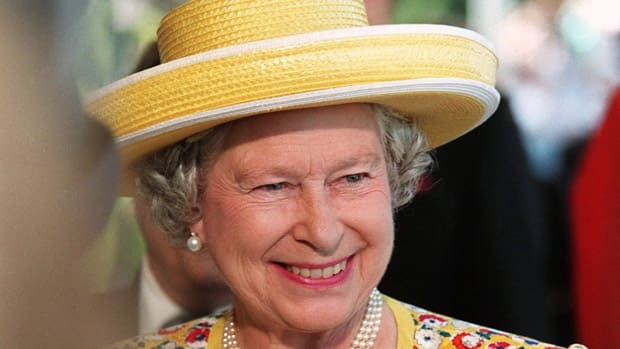 July 31 to Aug. 4: The Queen visits Ottawa for the Commonwealth heads of government meeting while Prince Philip has his own program over four days. June 28 to July 6: Prince Charles, Prince Andrew and Prince Edward join the Queen and Prince Philip for the 1976 Olympic Games in Montreal. Princess Anne was a member of the British equestrian team competing in the Olympics in Montreal. The royal family also stops by Nova Scotia and New Brunswick during the visit. 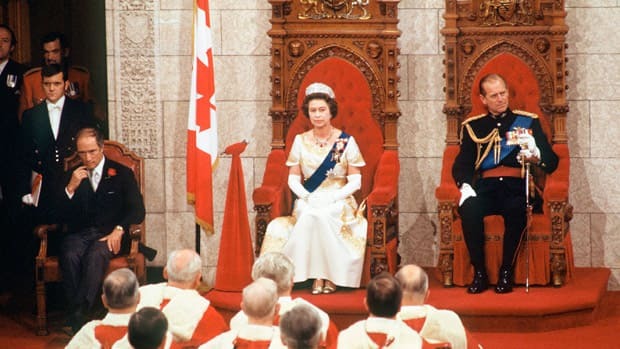 Oct. 14 to 19: The Queen and Prince Philip visit Ottawa to celebrate her Silver Jubilee. 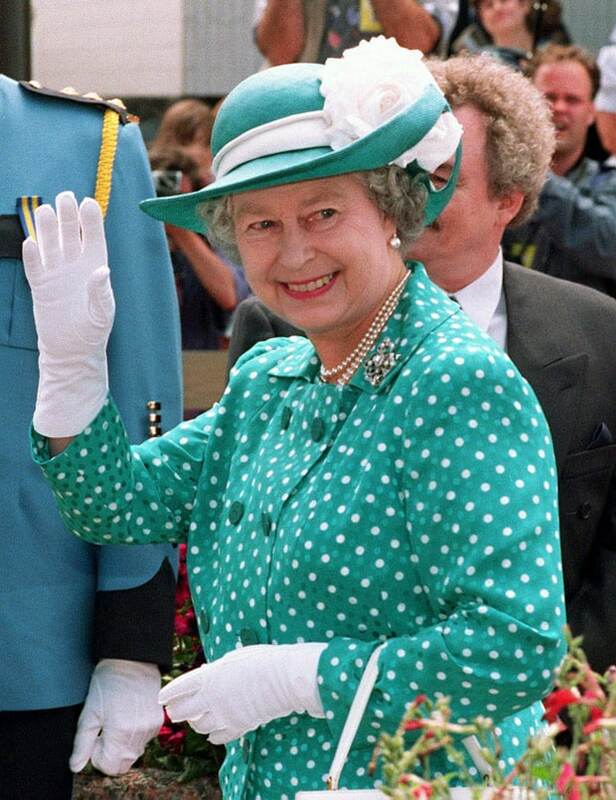 July 26 to Aug. 6: The Queen, accompanied by Prince Philip, Prince Edward and Prince Andrew, tours Newfoundland and Saskatchewan before going to Edmonton for the XI Commonwealth Games. They also make several stops around Alberta. 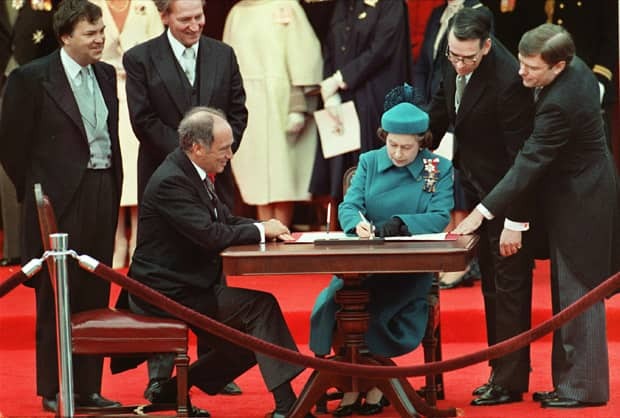 April 15 to 19: The Queen visits Ottawa for the proclamation of the Constitution Act. March 8 to 11: The Queen and Prince Philip make a number of stops in British Columbia as she concludes her North American West Coast tour. 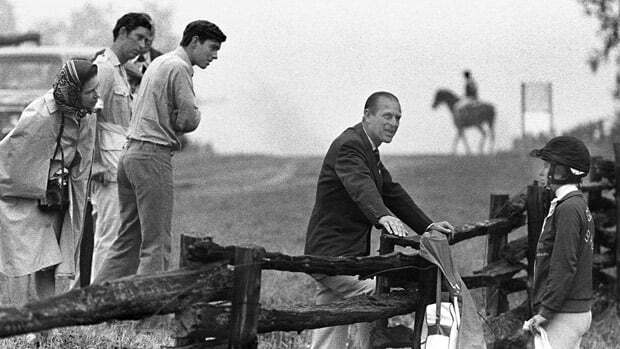 Sept. 24 to Oct. 7: Prince Philip accompanies the Queen to several towns in New Brunswick and Ontario, marking the bicentennials of the provinces. She travels on her own to Manitoba. 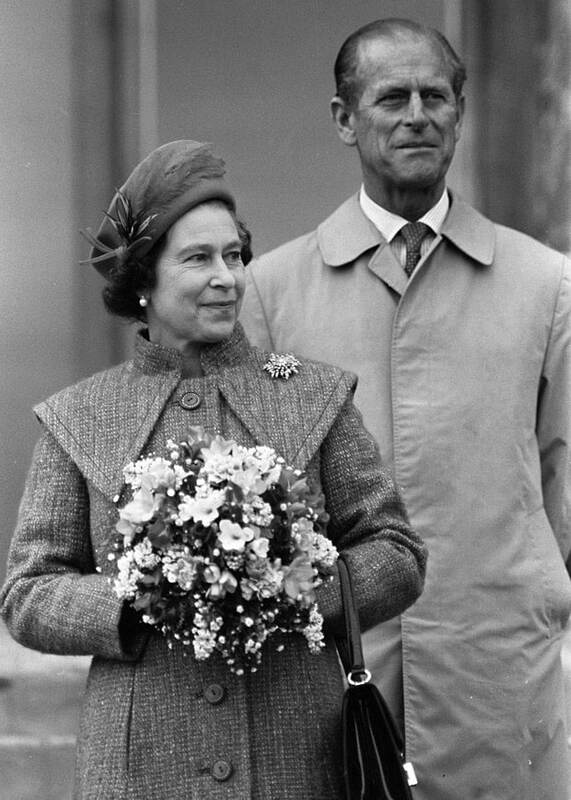 Oct. 9 to 24: The Queen and Prince Philip make a private visit to Qualicum Beach, B.C., before going to Vancouver, Victoria and Esquimalt to participate in opening sessions for the Commonwealth heads of government meeting. They also visit Saskatchewan and Quebec over the 16-day Canadian tour. 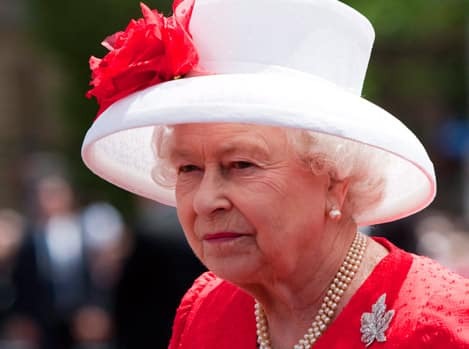 June 27 to July 1: The Queen makes a five-day solo visit, stopping in Red Deer, Alta., Calgary and Ottawa for Canada Day. 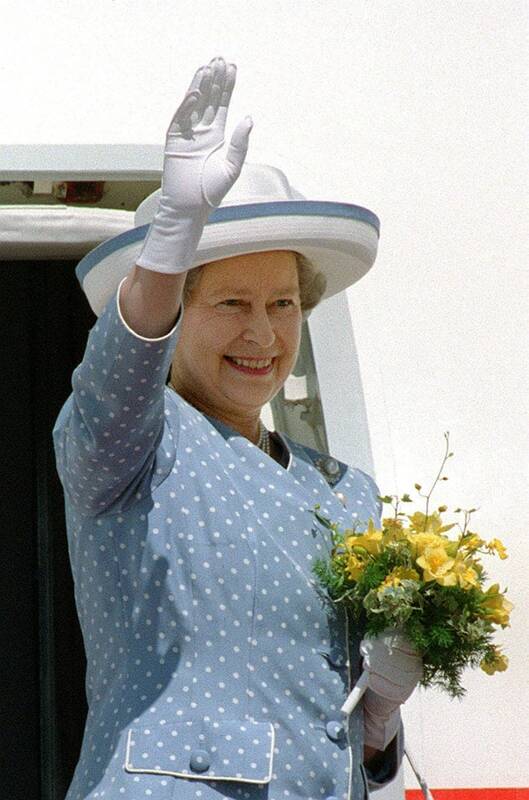 June 30 to July 2: The Queen makes a three-day, unaccompanied visit to Ottawa to mark the 125th anniversary of Confederation and the 40th anniversary of her accession to the throne. Aug. 13 to 22: Over 10 days, the Queen and Prince Philip visit several sites in Nova Scotia and attend the Commonwealth Games in Victoria. While the Queen takes a private retreat at Twin Island, B.C., Prince Philip visits Yellowknife, Iqaluit and Rankin Inlet. 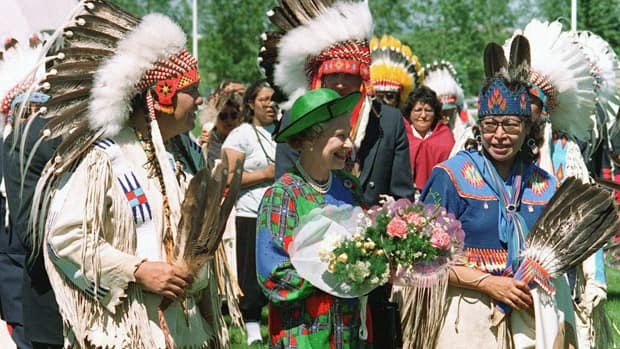 June 23 to July 2: Queen Elizabeth and Prince Philip visit Newfoundland to mark the 500th anniversary of explorer John Cabot's arrival in this country. 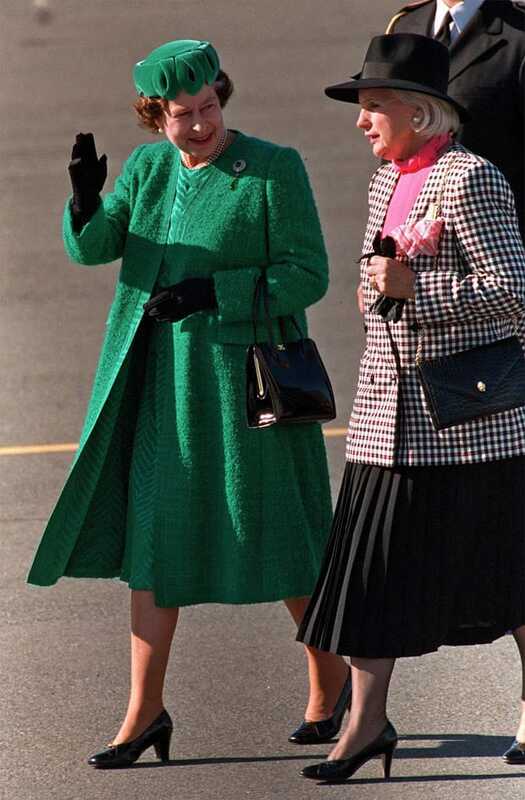 The Queen later goes on a private retreat to London, Ont., before going to Manitoba to survey flood damage. She returns to make several stops in Ontario, including Toronto, Brantford, Stratford, North Bay and Petawawa. 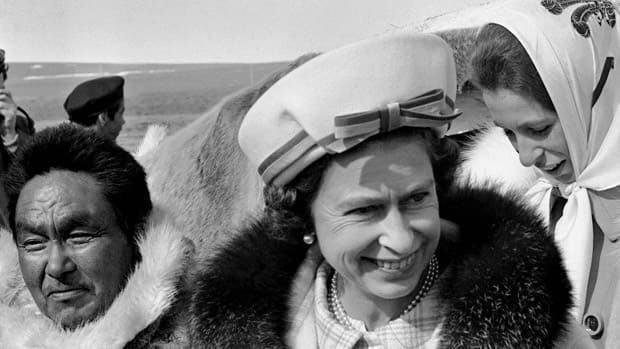 Oct. 4 to 15: The Queen, accompanied by Prince Philip, begins her Golden Jubilee visit to Canada in Iqaluit. She then heads to B.C. where she drops the ceremonial puck at a hockey game between the San Jose Sharks and the Vancouver Canucks. 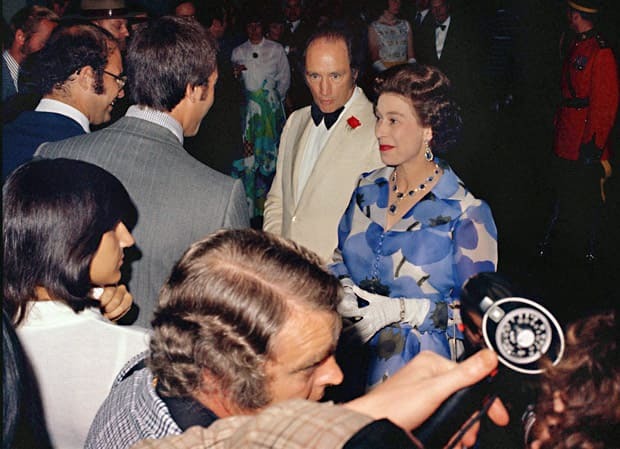 A few days later, the Queen visits the Canadian Broadcasting Centre in Toronto to help mark the 50th anniversary of CBC-TV. 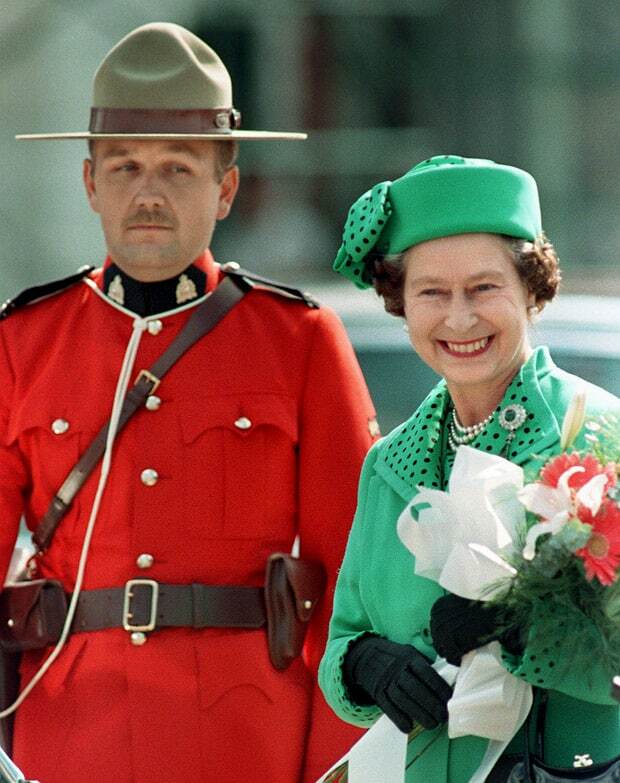 May 17 to 25: The Queen and Prince Philip arrive to celebrate the centennials of Saskatchewan and Alberta. June 28 to July 6: The Queen, accompanied by Prince Philip, visits Halifax to mark the navy's 100th anniversary. The royal visit also makes a stop in Ottawa for Canada Day celebrations on Parliament Hill, and then makes its way to a dedication of the cornerstone for the Museum of Human Rights in Winnipeg.